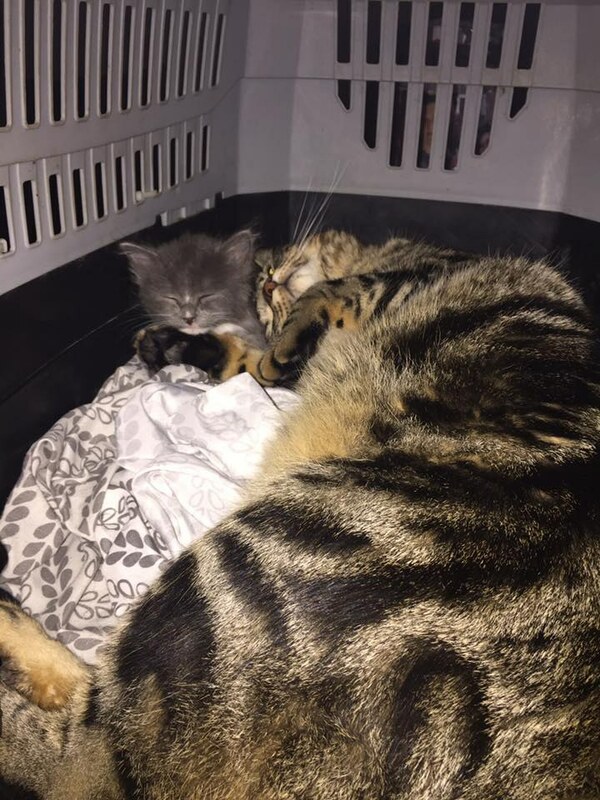 Not many animals get along when they meet and bringing a new pet home might be a problem, causing rivalry or animosity. 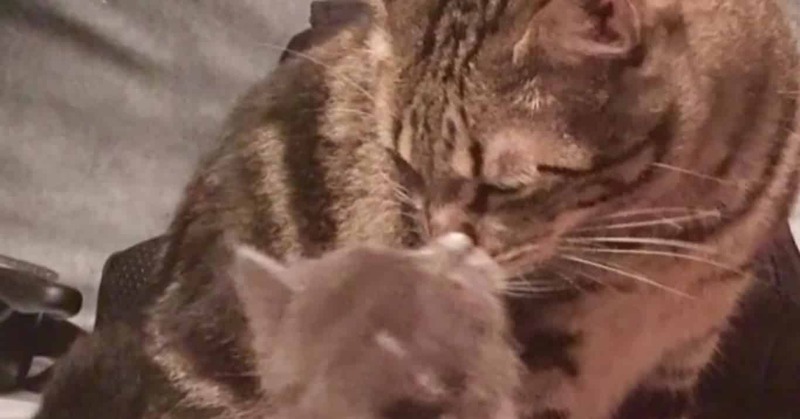 But this gentle cat stood up and did an amazing gesture for the new kitten. 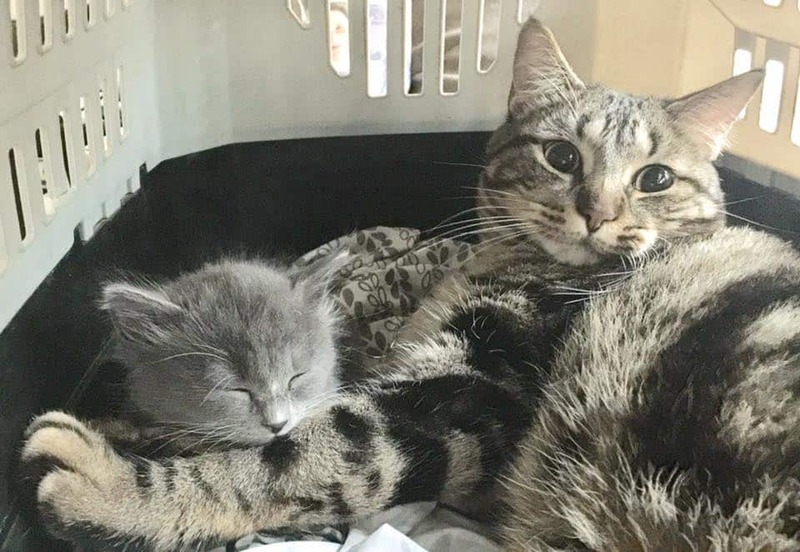 It all started on a chilly October day when Moonglade Rose came home with a tiny bundle of fur. He was soon going to have a new chance at life. Here is how the heart-melting story progressed. Andy was Moonglade Rose’s pet and he was the star in their family. But how would he react if he saw someone else stealing his thunder? One day Rose found a little kitten that was standing all by himself in the outdoors, so she didn’t wait for a second and took the poor guy to the vet to see if he was alright. After making sure that he is healthy, Rose had another problem… who will take care of the poor guy? 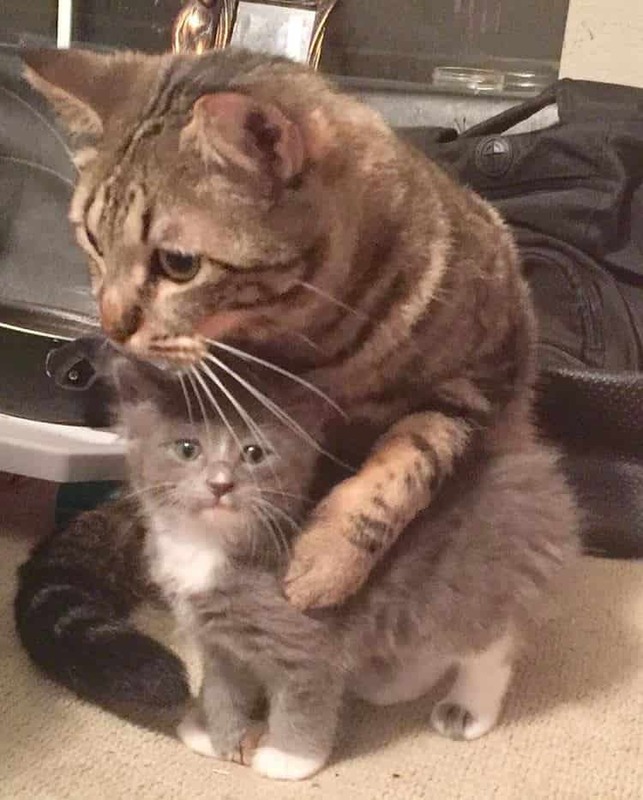 In the end, she didn’t have other option other than taking the kitten home. 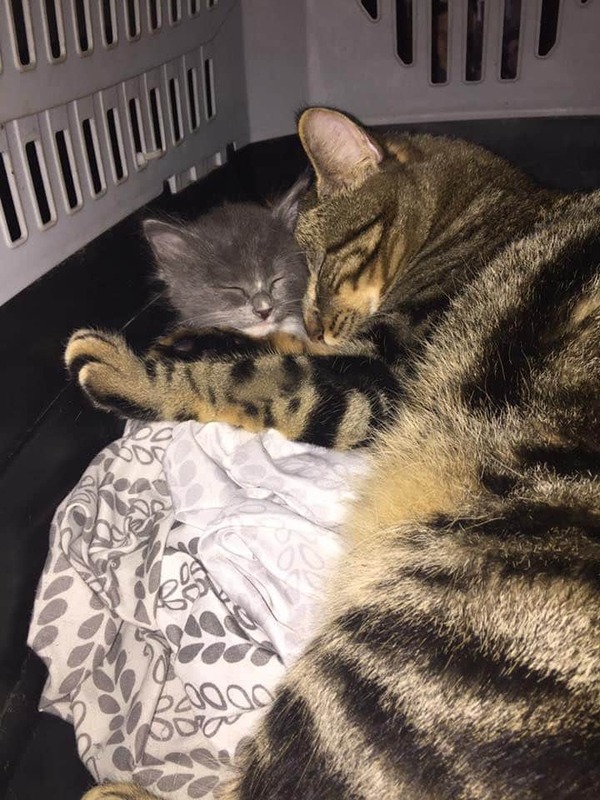 She also named him Opie and the little guy couldn’t be happier. But one question remains… how would Andy, her other cat, react to the new member of the family? They started by touching and smelling each other, and although Rose was worried that Andy might hurt the little guy she decided to leave them together. 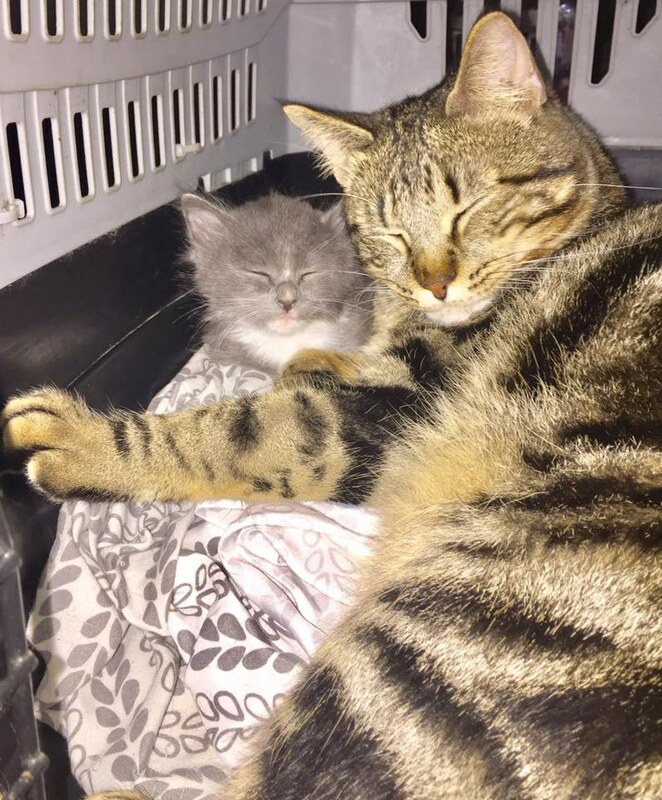 Just look at how busy Andy is with his new brother! 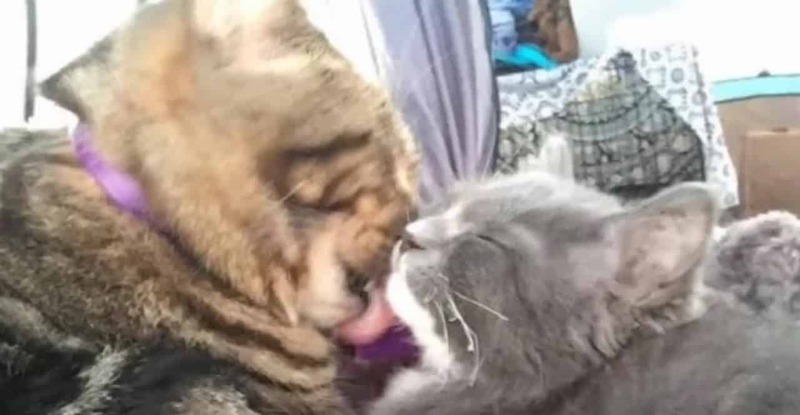 Rose wasn’t able to leave them alone in the room, after all, you never know how an adult cat would react out of jealousy… but Andy had other plans! 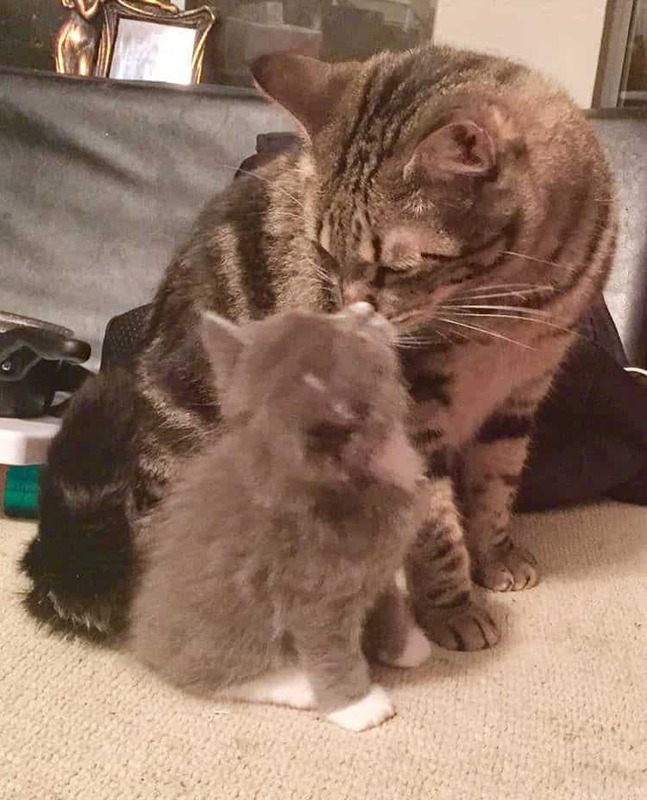 When Andy saw Opie, he put his paws around the little fellow and gave him a warm welcome. Rose said that ‘Andy welcomed him immediately and wouldn’t stop hugging him and kissing him’. 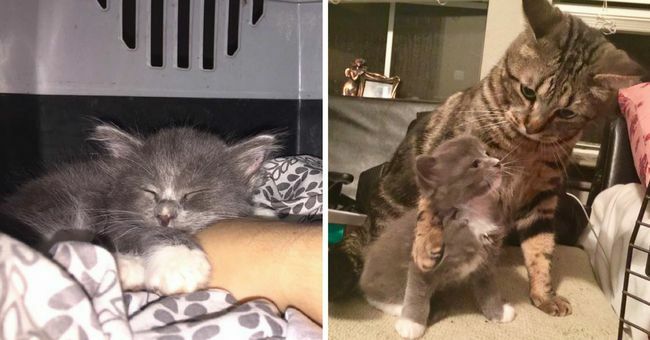 The two of them became best friends and you won’t believe what Andy is teaching the little guy to do! 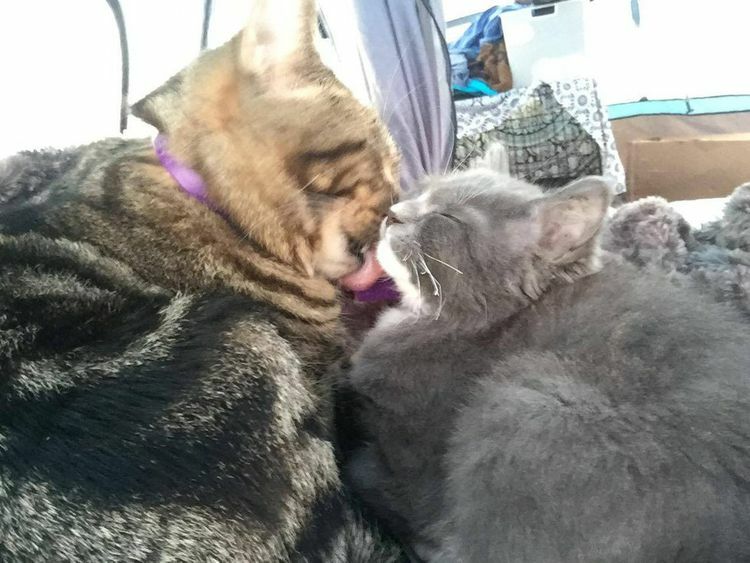 Opie was in for a treat because Andy wasn’t going just to hug the kitten, but he was going to groom and cuddle the new family member. If you think that this photo is cute, you definitely need to see the next one! The first night when Opie slept in his new home Andy slept by his side, guarding his new brother. It was an instant connection and you can see it in all of their pictures. 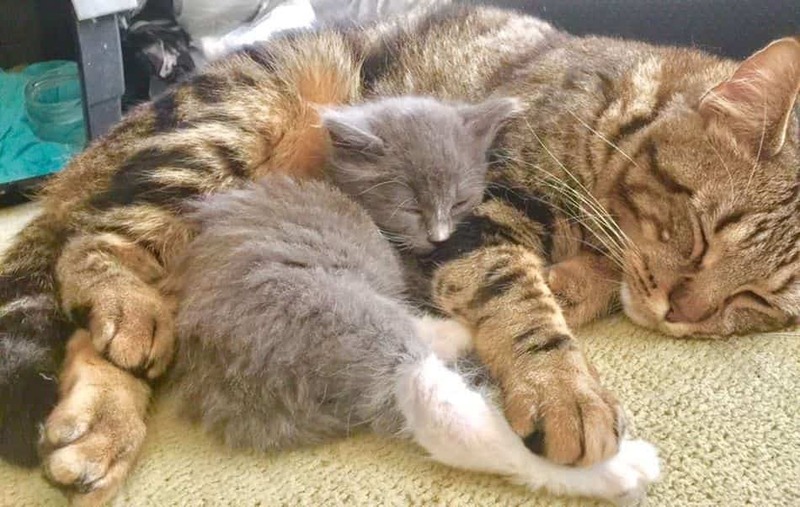 There’s a thing that connects all stray cats and these two cuties are proof that it is real. The following pictures will melt your heart! Andy has taught Opie how to cuddle and a lot of other tricks. 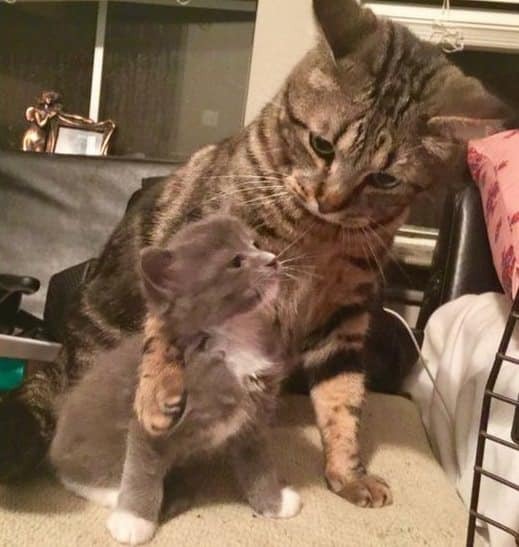 There’s nothing better than having a big brother to show you around how to cat. Rose said that ‘Opie seems to trust me and keeps falling asleep on me. 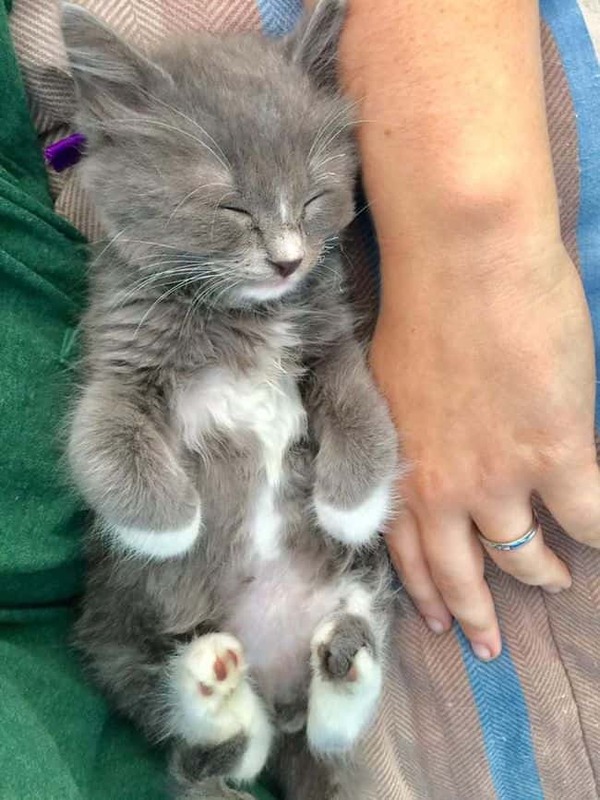 The little guy fits in my hand. And Andy absolutely loves him’. This little guy is adorable! Every few hours, Rose had to wake up and feed Opie. 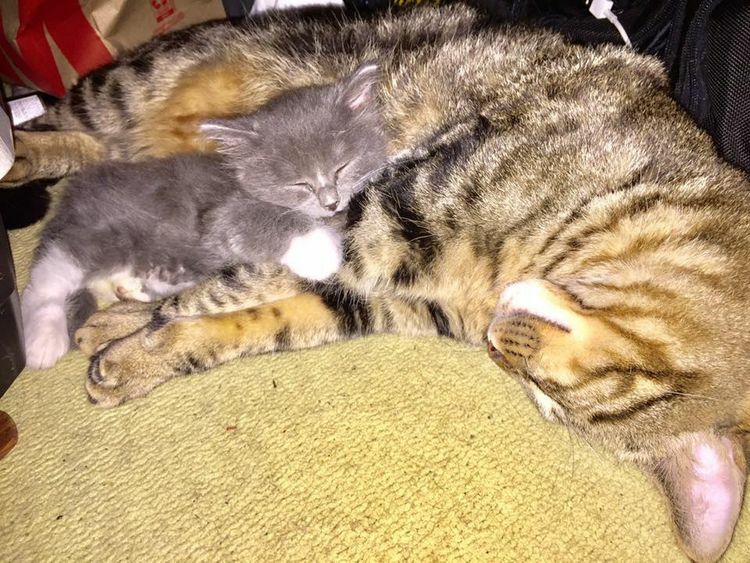 The kitten has been so good, that every time after being fed, he curled up on her chest and went back to sleep. And Andy was there to help. She went ahead and told us that she was also adopted, but ‘there’s always been something missing, even after I met my birth family.’ What she said next will melt your heart! The two cats are very happy to live with their human Rose. Opie has been a part of their family for about 10 weeks and things couldn’t be more awesome. Even though there is a big difference in size and age, Andy and Opie are inseparable. Whenever Rose is looking for them, she finds them cuddling and sleeping together. 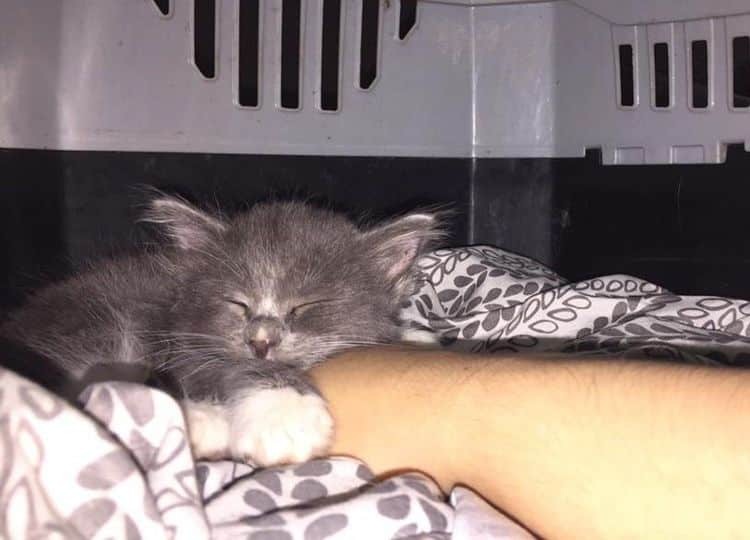 This tiny kitten has received a new chance at a better life. It was all possible with Rose’s big heart and Andy has been a great help to have around. There’s nothing cuter than seeing these cats kicking it off from the very first moment. It all looks like Andy was born to be a caring ‘mother’. Andy has had a great teacher in Rose, who took care of him by doing everything to save the poor cat when his life was in danger.